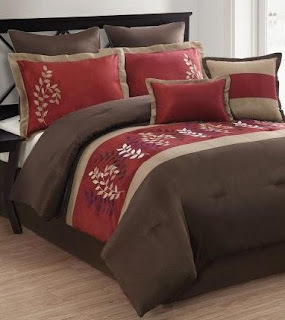 Wow, head over to Stage Stores to score this beautiful 8-Pc Tuscany Embroidered Comforter Set for only $53.93 shipped! It's on sale for $84, but the code 40247 drops it down to only $50 + $3.53 tax. NOTE: The only size available is Queen. It includes a bedskirt, comforter and 6 various pillows.